Charlie La Mothe—violin Come out to beautioful Lake Del Valle Regional Park for a day of music, on-stage in the meadow plus free-form jamming by the performers at numerous camp sites. There is swimming in the lake and lunch at the food concession, or pack your own. A perfect Valentine's Day outing: dinner, drinks, and vocal jazz favorites with The Lost Cats. Karen Horner Cullen—bass /vocals . 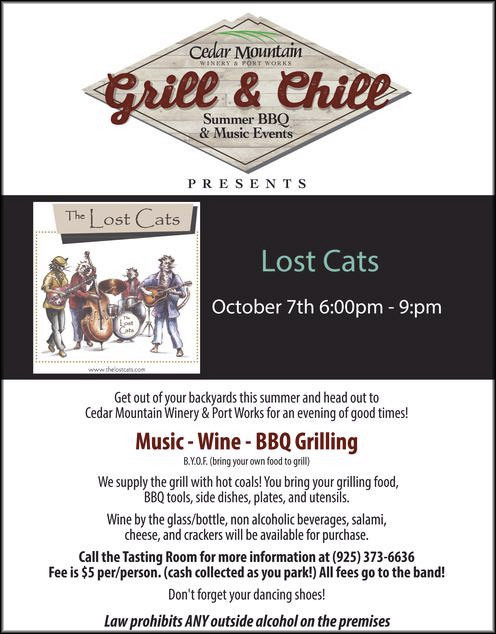 Come join us either for delicious Italian fare, fine wine and The Lost Cats Jazz Trio playing vocal jazz favorites.